Use TEGO.CLASS to easily and quickly access all information and data digitally at all times. It only takes a few clicks to extensively evaluate your students’ grades, attendance and homework. 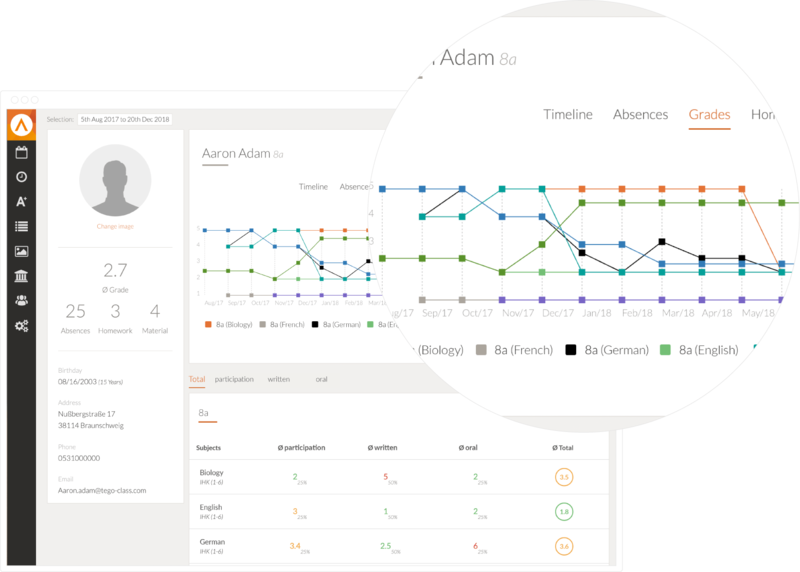 Use TEGO.CLASS and its profile walls created for individual students to be perfectly prepared for all parent-teacher conferences. 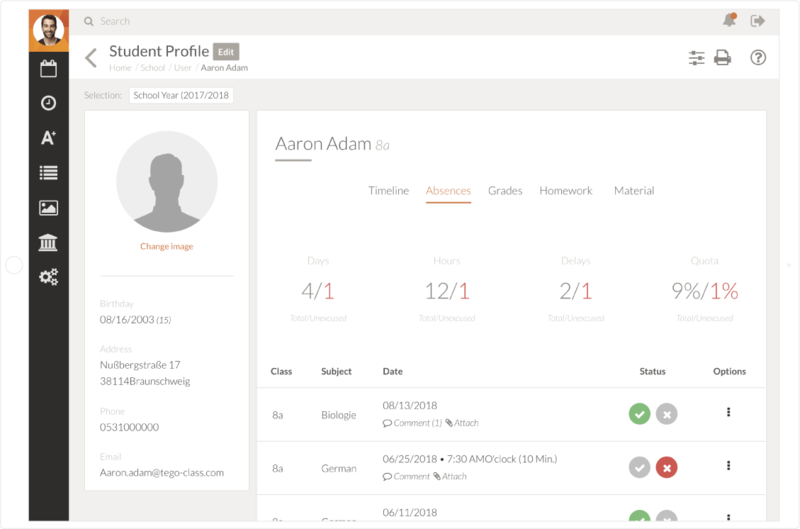 The profile wall allows you to easily evaluate all notes you’ve put down for each student during the school year. With this extensive overview regarding every single student’s progress, you can communicate more transparently with parents during conferences. In addition to individual profile walls, TEGO.CLASS offers you informative insights regarding every student’s absences. There is no need to turn over the class register and manually pick out every single missed period or sick day just to be up to date for parent-teacher conferences. TEGO.CLASS and its preset absence system automatically keep you up to date regarding the amount of sick days, missed periods or delays of every student, including calculating their overall absence quote. 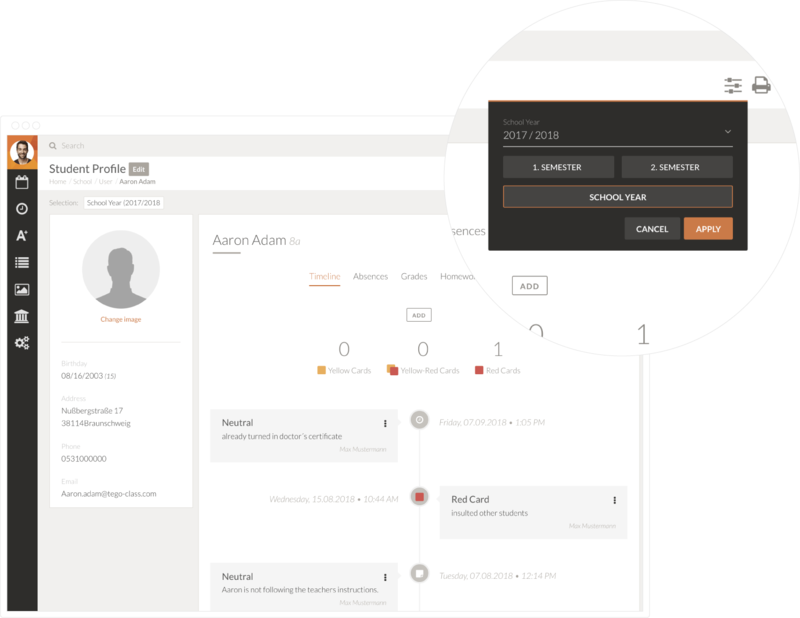 The profile walls for individual students not only show all the grades you’ve entered throughout the school year, they also automatically calculate and evaluate their final grades. This allows you to easily and elaborately inform parents about everything regarding their kid’s grades and learning progress. 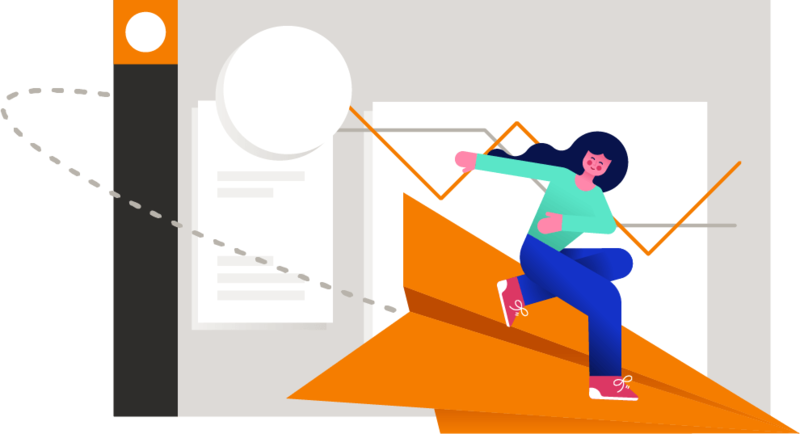 In addition, this clear and transparent overview helps you track and easily access your students’ most recent and overall progress throughout the entire school year. 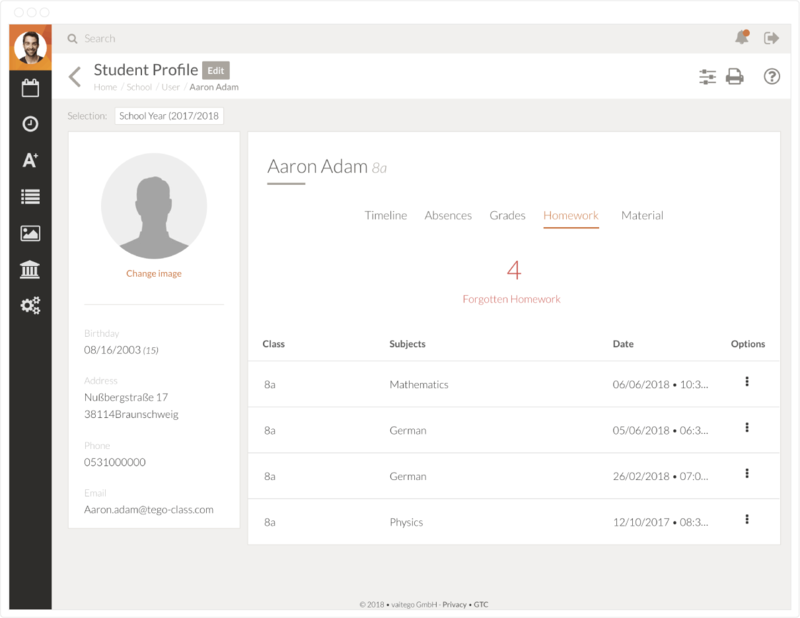 Use TEGO.CLASS to say goodbye to that endless paper chaos and, throughout the semester or whole school year, easily keep track of students who forgot to do their homework, other class related tasks, or left materials at home. Using the app, there’s no additional time consuming work involved for you to be prepared to give parents an extensive overview of their kid’s progress and performance.